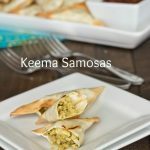 Indian flavors are always a hit at my house. My 7 year old asks for Indian food at least once a week. He has actually been asking if I could make an Indian pizza for awhile. I have had it on my list of things to do, but it always go pushed to the back. 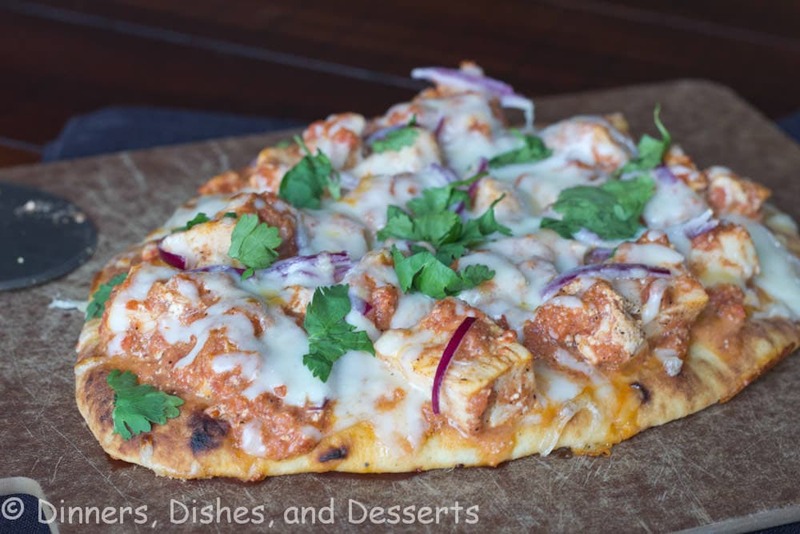 Then Cooking Light had a Chicken Tikka pizza in their recent issue, and I knew it was meant to be. I added it to the menu right away, and didn’t let it slip to the back this time. 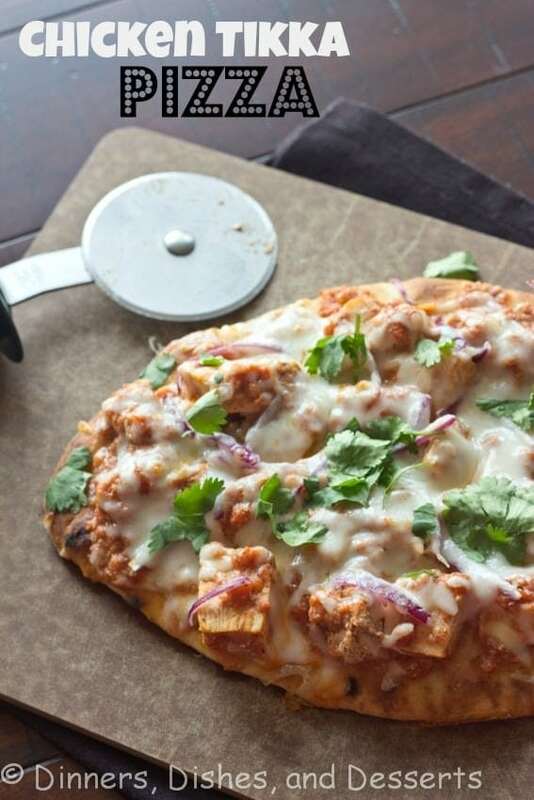 If you are a fan of of Indian food at all, you will love this pizza. The chicken is cooked in a yogurt, and garam masala sauce. I used Naan bread as the crust for a more authentic Indian flavor. It comes together pretty quickly, so you can make this for a weeknight dinner. Plus anytime you can have pizza on the menu, and not feel guilty about it; you know it is a win! 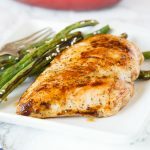 Combine chicken, yogurt, and 1 tsp garam masala. Place on baking sheet, lined with foil. Broil for 5 minutes per side. Using a food processor, plus the tomatoes until smooth. Heat a skillet over medium-high heat. Add oil and swirl to coat. Add 3 tsp garam masala, ginger, cayenne, and garlic. Cook for about 1 minute. Add tomatoes, simmer for a few minutes. Stir in salt and heavy cream. Cook for 1 minute. Cut chicken into 1 inch pieces. Add chicken to the pan, toss to coat. Place Naan bread on baking sheet. Broil for 1 minute each side. 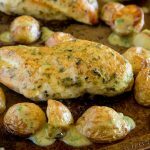 Remove from oven, and place about 1/2 cup chicken mixture onto each piece of bread. Sprinkle with red onions, and cheese. Broil for 2 minutes, or until cheese is melted. Garish with cilantro to serve. I really love this idea. 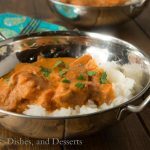 Chicken Tikka Masala is one of my comfort foods. And so is pizza. The two together, and healthy? Doesn’t get much better than that! Healthy pizza makes my monday better too! We have roasted veggie pizza n whole wheat dough ready to make tonight! This looks amazing Erin. 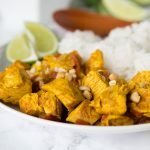 I love Indian food, we will def make this one time! We are homemade pizza fanatics, to the point that I’ve been trying to come up with the craziest possible combos to keep it fresh. “India” pizza has yet to make an appearance though…I will be doing something about that ASAP. Great recipe! 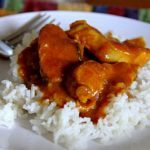 I love Indian too – you’ve reminded me that I haven’t had it forever! 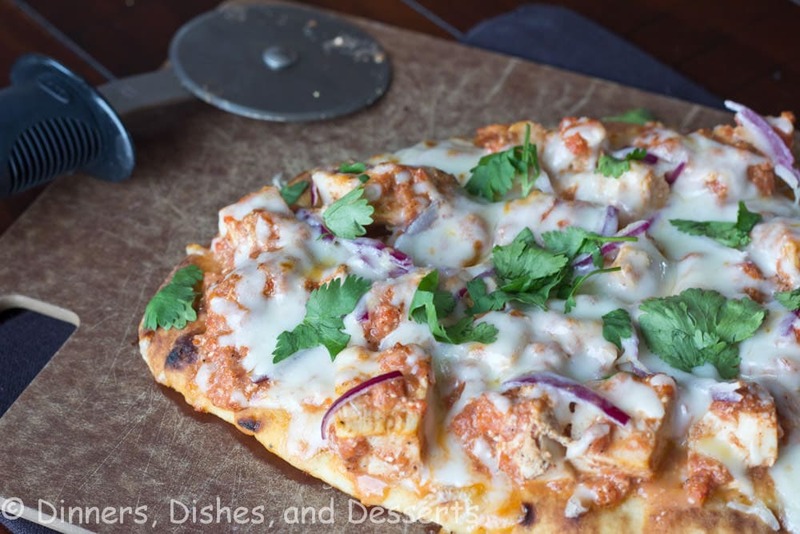 I love that you used Naan as the pizza dough – genius! 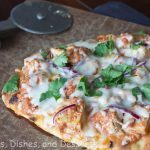 I love using Naan bread for pizzas, this looks delicious! This looks very intriguing! We’re definitely homemade pizza people in our house. Hm! Pizza – check, I love it. 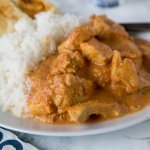 Indian – check, I love it. Great idea. 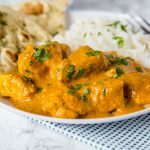 You should maybe join my Indian food trip on my blog this month. That pizza would fit in nicely. So awesome, Erin! My hubby is a nut for Indian food and he’d flip for this. I’ve gotta make it sometime soon! 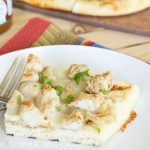 Your pizza recipe looks so good! I love chicken on my pizza! 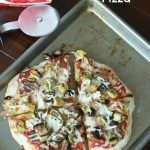 what a fun pizza to make! i love the creativity and i’m a huge Indian fan over here so i’m sure this would be gobbled up in no time! One of my favorite pizzas! Ok maybe most favorite 🙂 I just add few cashews and mango chutney on top.. yummy! I make lots of pizzas, but I never would have thought of this combination. 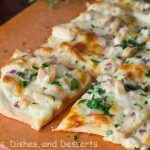 Such great flavors for a pizza, and so easy on naan! I can’t wait to try this! I saw this pizza too and I have yet to make it. It looks so fabulous!! I’m a fool for these flavors! Great idea to add them to a pizza!